1. A booking can only be made after a deposit of 30% of total price is received by us and riders get a confirmation email from us. The remaining balance must be paid before the start date of the tour. We reserves the right to charge an administration fee in the case of late bookings. 2. ADV Motorcycle Tours and Dirtbike Travel must be notified of any changes or/and cancellations no longer than 30 days before the start date of the tour. Cancellation or changes notification must be made in writing (e-mail only) and will be effective from the day it is received. Cancellations or changes made prior to 45 days before the tour starting date will receive a full. Cancellations made 45 to 30 days before the start of the tour will receive a full refund of any money paid minus the deposit of 250$US. Cancellations or changes made with less than 30 days to the start of the tour shall forfeit all sums paid. Exceptions to this policy will not be made for any reason. √ Our tour package does not include personal medical insurance. √ We ask each rider in our Vietnam motorcycle tours to sign a disclaimer stipulating that he/she contract personal insurance and that ADV Motorcycle Tours and Dirtbike Travel will not, in any circumstances, have to assume the responsibility or the expenses caused in the event of accident or disease. Any expenses incurred by ADV Motorcycle Tours and Dirtbike Travel in such circumstances will have to be reimbursed. √ It is the responsibility of the rider to make sure they are sufficiently insured against medical and personal risks covering the tour. Without the specific insurance for Vietnam motorbike tours, ADV Motorcycle Tours and Dirtbike Travel cannot let you join the ride. Insurance must cover repatriation, ambulance and air recovery. Trip cancellation insurance is up to you. 4. It is expressly confirmed that ADV Motorcycle Tours and Dirtbike Travel cannot accept responsibility for loss or injury to the rider arising directly through failure by the rider, but shall be responsible only in the event that the loss or injury to the rider has been directly occasioned by an error on ADV Motorcycle Tours and Dirtbike Travel’s behalf. 5. ADV Motorcycle Tours and Dirtbike Travel does not take any responsibility for loss or injury caused by the rider’s machinery if you choose to bring your own bike. 6. Bike damage. In the event of an accident, the rider is required to pay the first US$10,00. Any cost above this is covered by our insurance. - Total Pasts Cost: Parts cost is determined from some source such as Yamaha Part House (www.yamahapartshouse.com), Honda Part House (www.hondapartshouse.com) or Kawasaki Part House (www.kawasakipartshouse.com). If you guy find out any online shop with cheaper part cost, please let us know to re-calculate. - Government Taxes: 20% of Total Parts Cost. - Shipping Cost: 10%-15% of Total Parts Cost. It depends on weigh and/or size. 7. ADV Motorcycle Tours and Dirtbike Travel reserves the right to alter the route as conditions prevail to accommodate changes in weather, terrain and physical condition of participants. The leader's decision is final. 8. ADV Motorcycle Tours and Dirtbike Travel reserves the right to discontinue touring with individual riders who disrupt the tour thereby affecting the enjoyment of fellow riders. This includes dangerous driving/putting other people’s safety at risk and any offence that breaks Vietnamese national law. There will be no refund under these circumstances. 9. It is the responsibility of all riders to meet at the time and designated start point. Participants failing to connect with the courtesy vehicle are liable for their own expenses to catch up with the tour. 10. Delays in the Journey. ADV Motorcycle Tours and Dirtbike Travel cannot be held responsible for any unforeseen delays in your flights prior to, and after the tour whether caused by weather or other unforeseen circumstances. In the event of a delay you will be responsible for providing your own meals and accommodation. 11. If during the holiday, you have a complaint please discuss the matter immediately with the tour leader who will take the appropriate action. Should you be dissatisfied with the result and feel that it has severely affected your enjoyment of the holiday please write to us within 30 days of your return. We will respond within the same period and endeavour to resolve the matter to our mutual satisfaction. By their acceptance hereof rider agrees and accepts that he/she has read and understood the terms of these booking conditions and agrees to be bound by same. The rider also confirms that he considers himself medically fit to participate in the tour and that no warranty has been given by ADV Motorcycle Tours and Dirtbike Travel as to the medical condition of the rider. Best bikes with suitable modification to meet flexible terrain. Ready for all contingencies which may occur on the way. 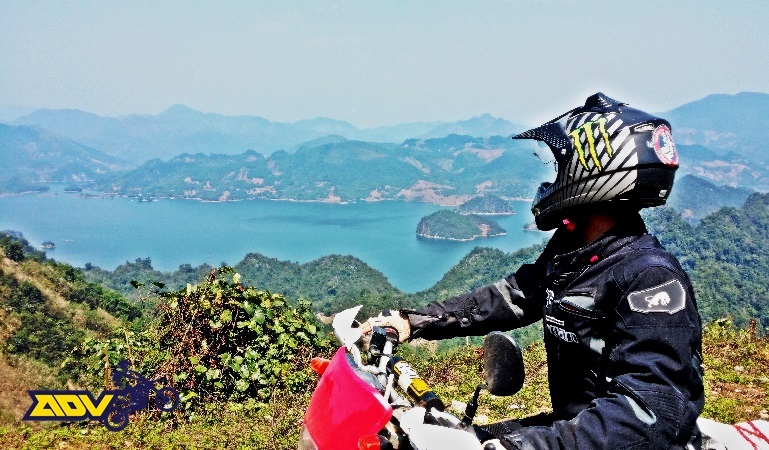 Unique routes with flexible Vietnam motorbike tours program for any riding level. Experienced guides, skillful mechanics and& helpful offices. Reasonable price for each service.